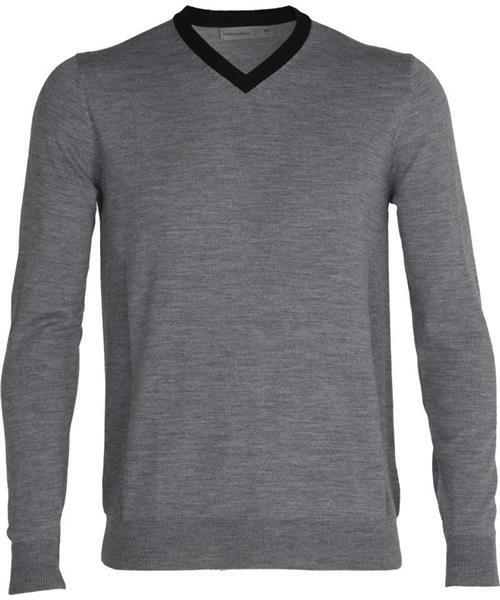 Shearer V-Neck Sweater- Mens is rated 5.0 out of 5 by 1. Rated 5 out of 5 by OldManRunner from 100% Merino 100% Love Love, love, love this sweater. Thought I was going to buy it for business casual days at work but I think the weave is so beautiful I can dress it up or down. Also you can't go wrong with the silky touch of this 100% merino weave. Nice addition to the wardrobe.